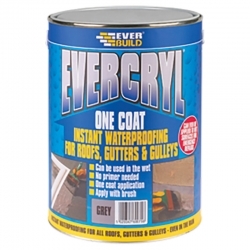 Everbuild 905 All Weather Roof Coating is a solvent based, full bodied black brushable compound with added fibres for reinforcement. 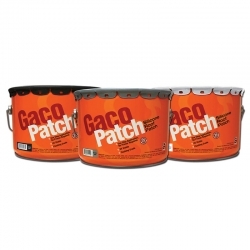 It is specifically designed for overcoating leaking roofs. Dries to a tough black coating. 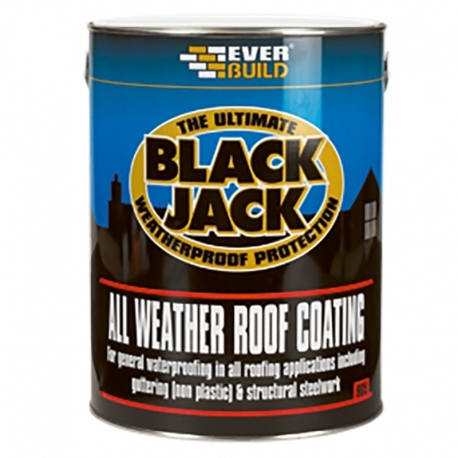 Everbuild Black Jack 905 All Weather Roof Coating is a solvent based, full bodied black brushable compound with added fibres for reinforcement. 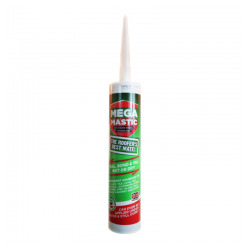 It is specifically designed for overcoating leaking flat or pitched roofs. Dries to a tough black coating. 5. Metal sheeting, including iron, steel, zinc and lead. 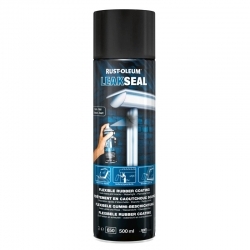 Everbuild Black Jack 905 All Weather Roof Coating may be used in conjunction with a rot-proof hessian reinforcement scrim or bitumen coated glass fibre scrim such as a Glass Membrane. Everbuild Black Jack 905 All Weather Roof Coating may also be used as a Vapour Barrier on walls and roofs. Halo there. Corrugated tin roof on my workshop. Has developed small leak in heavy rain; in area about 1metre sq. Not sure if sheets have perforated or if fixing screws have lost their seal. Minor drip into workhouse ( about a half-cupful after heavy rain) but annoying! Is this the stuff to permanently sort it, please? Many thanks ,... Graham Fisher, Herefordshire. 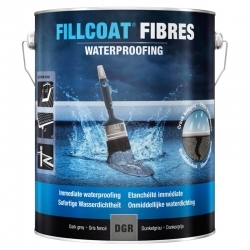 Everbuild 905 All Weather Roof Coating is sold in box quantities of 4 x 5lt, if you only have 1m² to do I would instead recommend Rust-Oleum Mathys Fillcoat Fibres which is available individually and should provide a better quality repair. 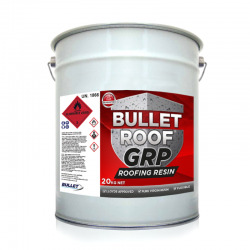 After preparation, to apply the required 2 coats of Everbuild 905 All Weather Roof Coating (see product data sheet for full details) you would require 30 litres. I have a corrugated asbestos cement roof on a garage which has become porous. 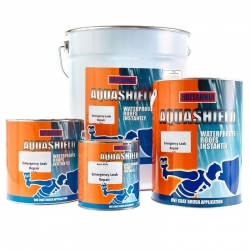 Is Evershield 905 the right product to use to seal it? 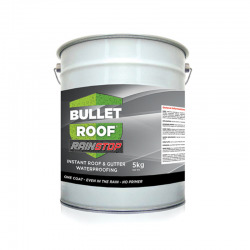 then apply two coats of Everbuild 905 All Weather Roof Coating, each at 1m² per litre, allowing the first coat to dry before application of the second. 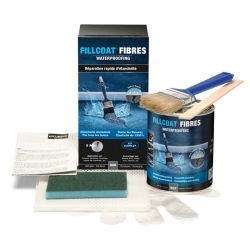 Because of the high level of fibre re-enforcement small cracks only require one brush coat application to give instant and total water protection, even in areas subject to ponding - requires no primer on sound non-porous surfaces.